"Doodlebops" favorites Deedee, Rooney and Moe Doodle solve problems that are relatable to preschoolers in this animated series. The series helps children face situations and solve problems through courage and logic. Featuring two original songs in each episode, the show encourages an appreciation of music, physical activity and health. "Doodlebops Rockin' Road Show" also helps children develop a sense of humor. The Doodles help Lucy get over her fear of water; the messiest place in the whole Doodlenet. The Doodles try to help Alice overcome her fear of playing the trumpet; the Doodles take Adam inside a giant's mouth. Deedee recruits Sophie to be her partner in a three-legged race; Noah is afraid of the dark. The Doodles must bring in a junior detective to uncover Moe's hiding spot. When Zack's drawing comes to life, it wreaks havoc; the Doodles must learn to share the spotlight. The Doodles recruit a talented soccer player for the Doodleball tournament. Rooney's newest pancake-making invention flops; the Doodles try to help a budding comic. The Doodlebops take Samantha to Icky Town to show her the value of trying new things; The Doodlebops take Julian on a quest for a new toy. Tahlia doesn’t think manners are important; The Doodlebops take Malcolm to Mineville to demonstrate much fun sharing can be. The Doodles try to help Harris deal with embarrassment; Sandy competes in a game show about memory. The Doodlebops get Alicia to help them look after a baby bird; The Doodlebops help South Stampton out of a sticky situation. The Doodles try to help Hanna win a trophy in a go-kart race. Vera must get over her dislike of getting dirty; Moe and Ken create a drum monster. 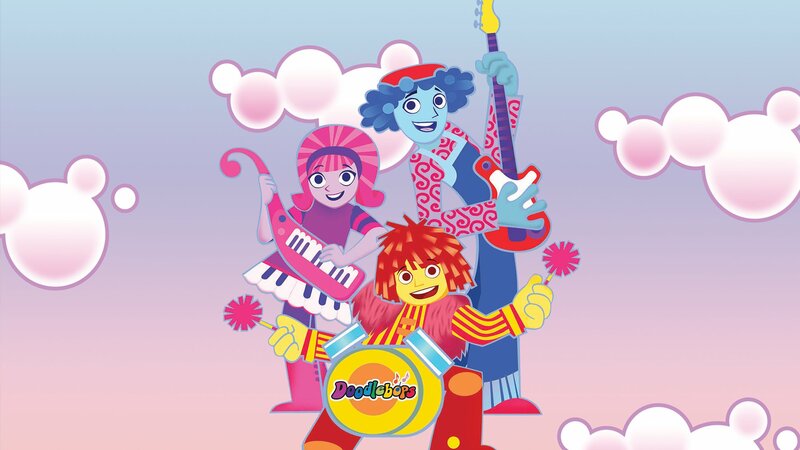 Alex and the Doodlebops forget to ask permission to shoot their new music video in Rock Town. The Doodles travel to prehistoric times to see what musical instruments Cave Doodles played. Moe forgets to how to keep time while drumming; the Doodles take Todd to a dance party. The Doodles take Owen on a tour of Doodlenet so he can see what kinds of professions there are. Riley wants superpowers; Rooney and Billy compete to see who can come up with the better invention. Claire joins the Doodles on a trip to Atlantis and learns how to meet new people. The Doodles take Stephanie to a place where everyone communicates by singing. The Doodles go camping and try to show Moe and Jack the importance of playing outdoor games. Rooney learns to not give up on a new invention; Matilda tries to help Rooney get over the hiccups. The Fan Who Cried Flying Pink Dinosaur; Follow That Iguana! 23. The Fan Who Cried Flying Pink Dinosaur; Follow That Iguana! Briana learns why she shouldn't tell too many tall tales; Moe and Justin find a lost iguana. Ethan helps the Doodlebops settle an argument; a lesson in recycling. Joshua's pet canary sounds great on the new song; passing on messages. Taylor learns what it takes to make a Doodlebops show a success.